The Midwest Gaming Classic, the largest all-encompassing gaming trade show in the Midwest, is returning to Brookfield’s Sheraton Milwaukee Brookfield Hotel this April 11th & 12th. All ages welcome with free admission for kids under 10. 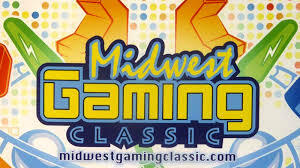 Visit us online at www.midwestgamingclassic.com to purchase tickets and see all that the Midwest Gaming Classic has to offer.